New Delhi: Global carbon dioxide emissions are set to rise nearly 3 percent this year due to continued fossil fuel use, scientists said on Wednesday, dashing hopes that an increase in 2017 was temporary after two years of slowdown. World emissions grew by 1.6 percent last year and will increase even more this year due to the sustained use of coal, oil and natural gas, an annual report by the Global Carbon Project showed, a group of 76 scientists in 15 countries. 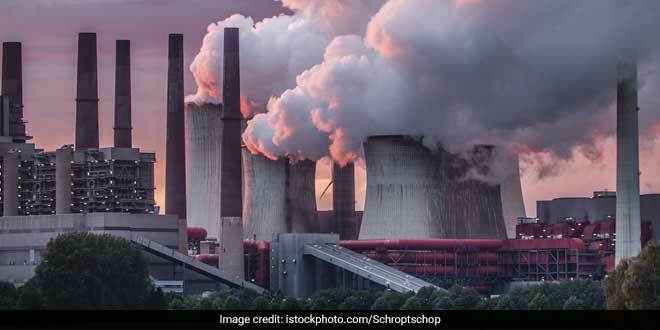 The projected growth in carbon dioxide emissions from fossil fuels and industry is 2.7 percent in 2018, but uncertainties persist and growth rates between 1.8-3.7 percent remain possible, the Global Carbon Project report said. The rise in emissions in 2017 could be seen as a one-off, but the growth rate in 2018 is even higher, and it is becoming crystal clear the world is so far failing in its duty to steer onto a course consistent with the goals set out in the Paris Agreement in 2015, he added.